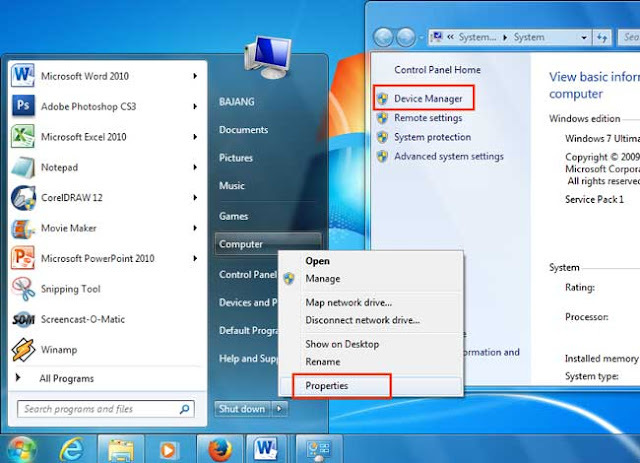 How to change the MAC Address on Windows - In this post I want to share about how to change MAC address on a Windows computer, this is a solution that is worth a try for those who are still confused to find a way to change the MAC address. 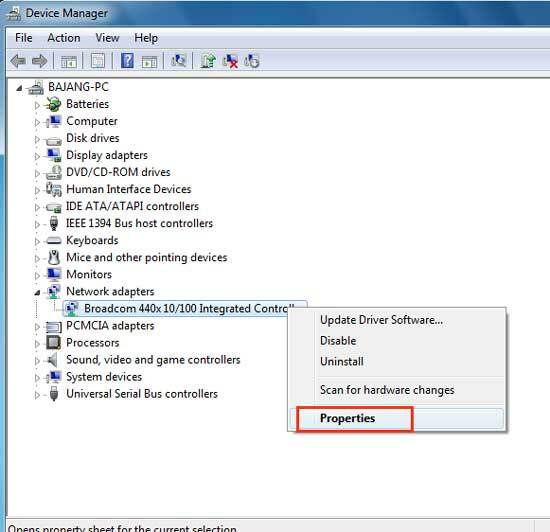 You can easily modify the MAC address manually or using other software. MAC address has designed a permanently in a network device, but we can change it to do the hacks or special tricks to replace Address. MAC Address is a unique code which is applied to each hardware device that can connect to the Internet, for example, NIC (Network Interface Card), routers and other devices. In a network, Mac Address is an address that is implemented at the data link layer in the OSI seven layer representing a particular node. Mac Address is a unique address that has a length of 48-bit (6 bits), used to identify a computer, a router interface or other nodes. MAC Address is also known as the Ethernet address, physical address or a hardware address. By default the device manufacturer that makes the network has set a MAC address usually begins with a code associated with the manufacturer. Mac Address made unique for each device. Mac Address consists of six pairs of decimal numbers separated by colons. 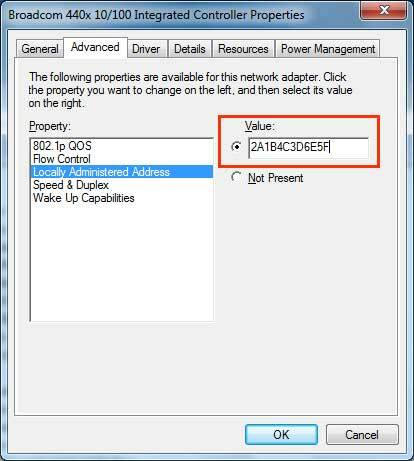 On a computer, Mac Address assigned to a network card that we are familiar with the NIC (Network Interface Card) that usefulness to connect computers to the network. Mac Address the unique code generally cannot be changed because it has been incorporated into the program ROM. Some cards provide network that allows users to change the Mac Address, although this is not recommended. If there is a network card in a network identified as having the same Mac Address, there will be conflict and computers could not communicate with each other. As has been explained above, Mac Address is used to identify all network devices uniquely to connect and communicate on the network. Uni cast address: This address is for a specific computer. Broadcast address: The address is generally for all computers in the network. Go to the Advanced tab, then click on the words Locally Administered Address. In the box enter the 12-digit value replacement MAC Address you want, should be entered without hyphens or colons, for example 2A1B4C3D6E5F.